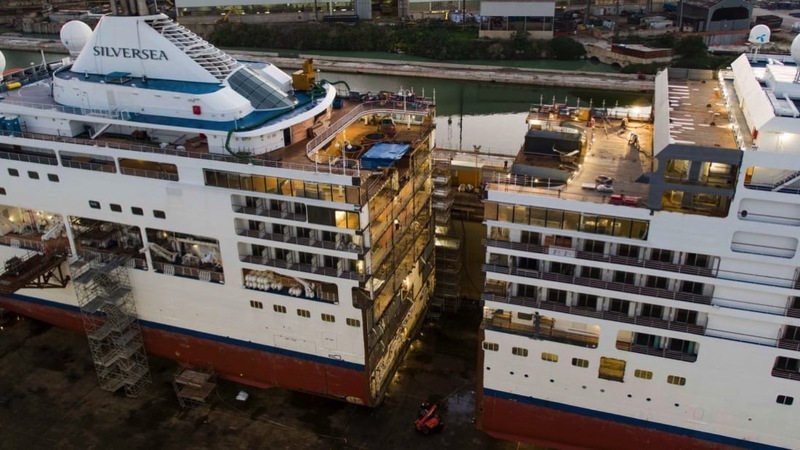 Cruise Ship Cut in Half to Add More Space « Adafruit Industries – Makers, hackers, artists, designers and engineers! When I was little this would be the obvious way to make a ship bigger. Somehow, as an adult, it seems ludicrous. Why build a bigger cruise ship when you can just cut one in half and add an extra 15 meters to the middle? A prebuilt 15-meter extension (almost 50 feet) has already been inserted with “military precision” to stretch Silver Spirit from 195.8 to 210.7 meters. 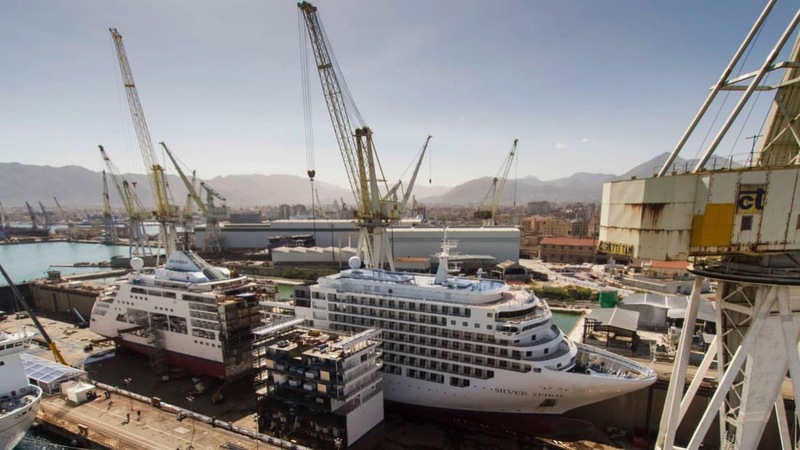 Described as a “rarely performed feat of maritime architecture,” the operation is the first of its kind involving a luxury cruise ship, according to Silversea.